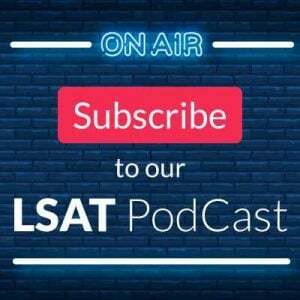 You are here: Home / LSAT Prep / What Can You Bring to the LSAT? LSAC has very specific rules and regulations about what you can (and can’t) bring to the testing center on LSAT Day. Read below to see what’s allowed and what’s not. The following lists what you must (and should, and can’t) bring to the testing center. 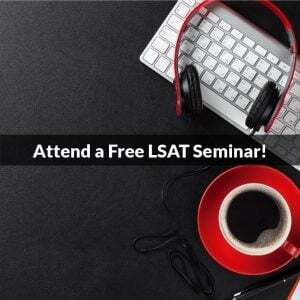 LSAT Admission Ticket. Print it the night before to make sure you have the most recent test center information on it. Sometimes testing centers are changed at the last minute, and you need to make sure you have the most recent address so that you go to the right place on Test Day. Make sure the photo on your ticket meets their requirements! Identification. You will need at least one form of ID on test day. You must have a current, valid (not expired) government-issued ID containing a recent and recognizable photo and your signature.Your first and last name on your ID must match exactly the name on your LSAT Admission Ticket or you will likely be denied admission to the test. Acceptable forms of ID include a passport, driver’s license, and/or government issued ID card. US military personnel may present their US military ID card with name, photo, and signature. Pencils! That’s right, LSAC won’t give you anything to write with, so you need to bring some sharpened #2 or HB wooden pencils with you. NOTE: The following IDs are NOT accepted by LSAC as valid forms of identification: Social Security card, Social Insurance card, birth certificate, credit card (including those with photo), cards used in Canada for health care benefits, expired IDs, photocopied IDs, employee IDs, or student IDs. MAKE SURE YOU HAVE THE CORRECT FORMS WITH YOU! 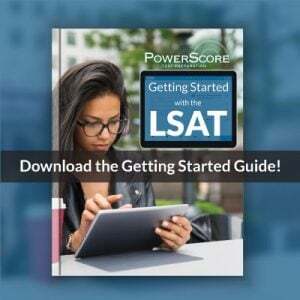 If you do not have acceptable forms of ID at the time you are being checked in, you will not be allowed to take the LSAT! In addition to your ID and admissions ticket, you can also bring the following to the test center (as per LSAC): A clear plastic ziplock bag, maximum size one gallon (3.79 liter), which must be stored under the chair and may be accessed only during the break. The ziplock bag may contain only the following items: valid ID; wallet; keys; analog (nondigital) wristwatch; medical or hygiene products; #2 or HB wooden pencils, highlighter, erasers, pencil sharpener (no mechanical pencils); tissues; and beverage in plastic container or juice box (20 oz./591 ml maximum size) and snack for break only. YOU CANNOT BRING ANYTHING ELSE TO THE TEST CENTER. All other items will not be allowed, and you can be dismissed from the test center from bringing in any prohibited items (see below). LSAC specifically states that you cannot bring any of the following into the test center: Electronic timers of any kind, beeping watches, alarm watches, calculator watches, cellular phones, beepers, pagers, personal digital assistants (PDAs), hats/hoods (except items of religious apparel), books, dictionaries, papers of any kind, calculators, rulers, slide rules, compasses, mechanical pencils, briefcases, handbags, backpacks, earplugs, headsets, photographic or recording devices, listening devices, electronic devices of any kind, weapons, or firearms. Timers of any kind: Yes, that includes silent timers. The only way you will have of telling the time during your test is an analog watch (i.e., a watch with hands, not digital numbers), the clock in the testing room (if there is one), and your test proctor (who will tell you when to start, when there are five minutes left, and when to stop). Cell phones: No, you can’t bring your cell phone into the testing center. Leave it in the car or at home. Hats/hoods: Particularly important to remember during the winter, when everyone wears hats. Brave the cold on the walk from your car to the testing room, and leave the hat in the car. Mechanical pencils/pens/markers: That’s right, you have to use a good ol’ #2 for the test. Remember to bring a sharpener and multiple pre-sharpened pencils. Purses/backpacks/briefcases: The only bag you’re allowed is the clear plastic one listed under “The Shoulds” above. Leave everything else in the car. Earplugs: A surprising number of students take practice tests with them. You won’t be allowed to have them in the testing center, so don’t get in the habit of using them when you practice. Electronic devices of ANY kind: This includes iPhones, iPods, fitness-tracking devices, cell phones, beepers, pagers, electronic cigarettes, headsets, calculators, and pretty much anything with a battery (except for an analog watch). Leave it all in the car. You can get kicked out of the testing center for having any prohibited item. Pack what you need the night before and double check with the list of approved and prohibited items on LSAC.org to make sure you have all of what you need (and none of what you don’t). Image “Pencils” courtesy of Pat Joyce.